Virtual Sports are growing in popularity each day, and Edge Gaming is ahead of the competition. 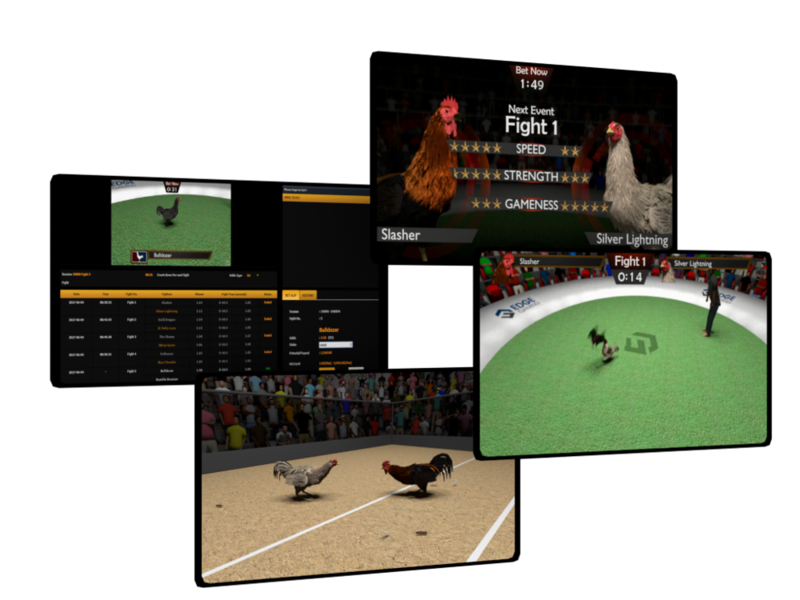 Our 3D Virtual Cockfighting is the world's first and offers state-of-the-art simulations. With high quality 3D graphics, advanced AI, and regularly updated arenas and opponent statistics, your players will have the thrill of the real fight every 210 seconds!